India influenced Tom Dixon's series of brass Beat Pendant Lights in more ways than one. Indian cooking pots and water vessels inspired their striking forms, while master craftsmen spin the forms and hand beat the brass in Moradabad, Northern India. In a world where so many things are mass produced, the creation of these lights keeps these rare skills employed and alive. The pendants come in several shapes with very straightforward names, like Fat, Stout, Wide and Tall — refreshing, eh? They can be used as singles, pairs, trios and more; lined up in a row or clustered in a circle; hung at the same length or staggered. The formula for figuring out how many possibilities there are probably involves using factorials and is well above the math skill set I left behind in calculus class a long time ago. Regardless, I've gathered up a sampling of some of the possibilities for you to compare and contrast, no calculus necessary. Let's start simply — this is a Fat, Wide, Fat pattern hung in a line at the same height. The shapes work well with minimalist aesthetics and keep things interesting. Moving along, this arrangement has five pendants arranged like a linear mobile in a symmetrical pattern (Wide, Tall, Fat, Tall, Wide). 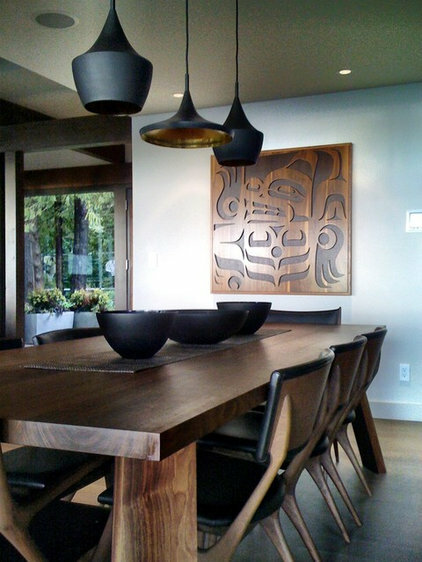 If you want the eyes to dance a little more, you can vary the heights of the pendants as you see in this photo. 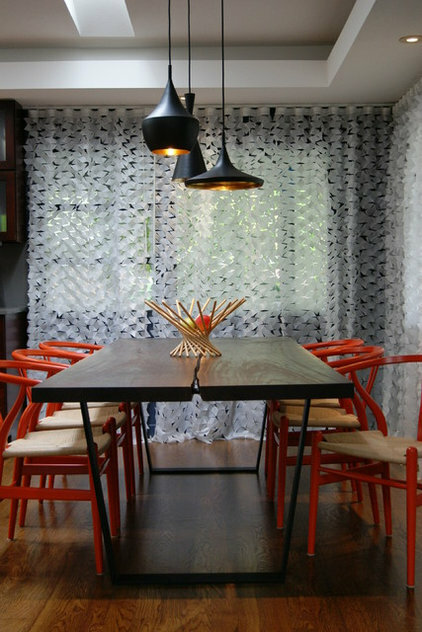 When you use more than one or two pendants, the group becomes a sculptural chandelier. 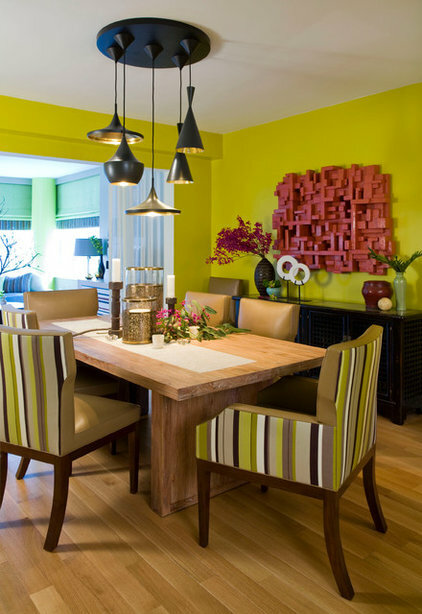 There is no rule saying the pendants need to be arranged in a straight line; here a cluster hovers over the center of a small dining table. The outside of the pendants sports a matte black finish, while the brass inside bounces the light around and creates a gorgeous glow. 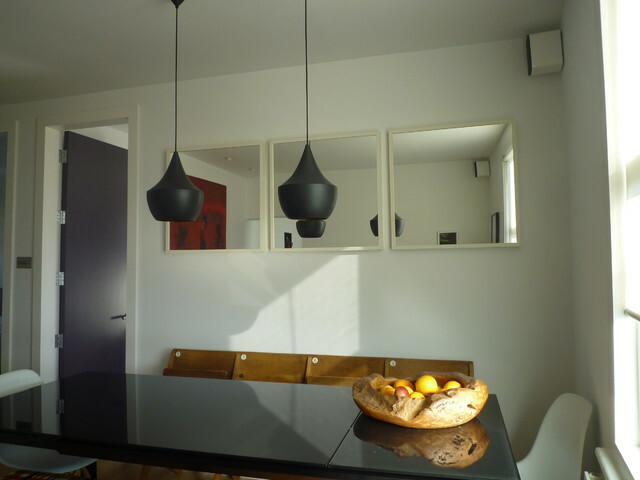 This arrangement is composed around the largest pendant, Stout. 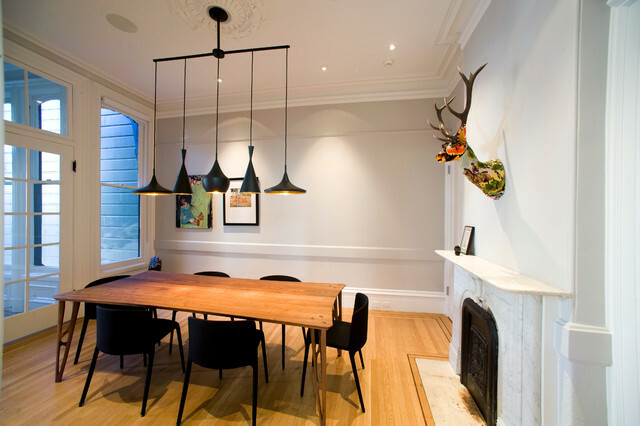 Everything in this room is rather rectilinear, with the exception of the Beat Pendants and the sculptural round table. The two are having a nice conversation amid all the straight lines and light colors. Now that you've seen a bunch of mixed groups, what do you think of a simple pair of pendants? 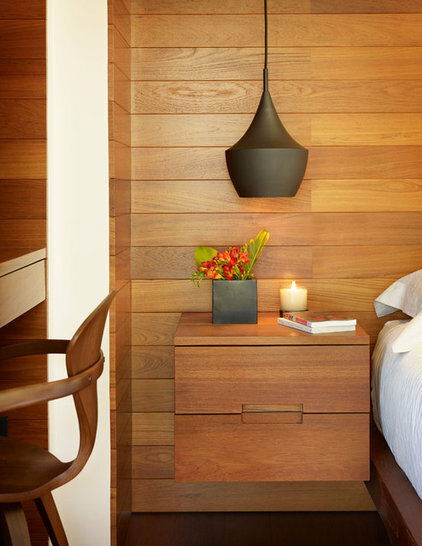 A lined-up trio keeps the minimalist look yet adds interesting shapes to the mix. 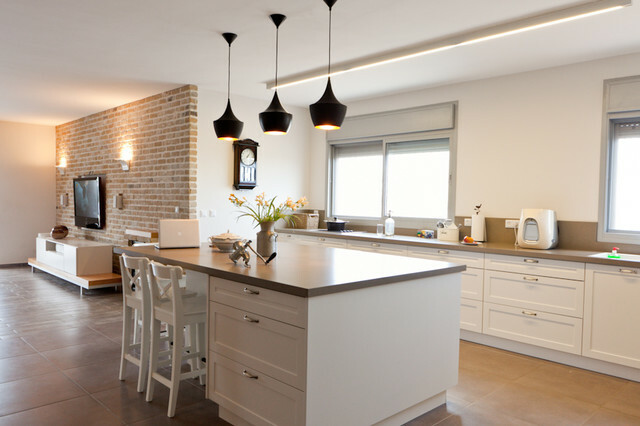 Tip: When planning lighting for a long kitchen island, consider using two large pendant lights instead of three or four small ones. 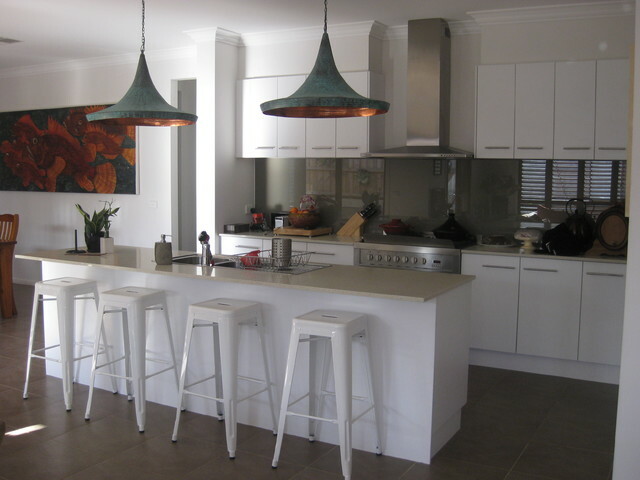 Just because the Beats were inspired by pots and water vessels doesn't mean they are limited to the kitchen and the dining room. 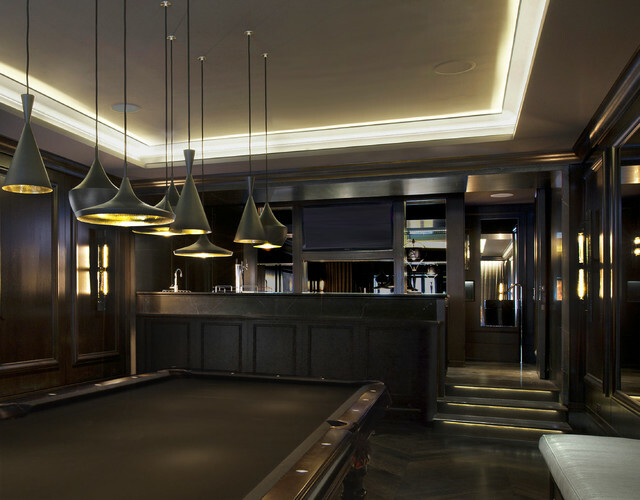 Beat lights create some seriously swanky billiard lighting. If this seems familiar, it's because Chuck Bass has a group of Beat Pendants over his pool table in his apartment on Gossip Girl. 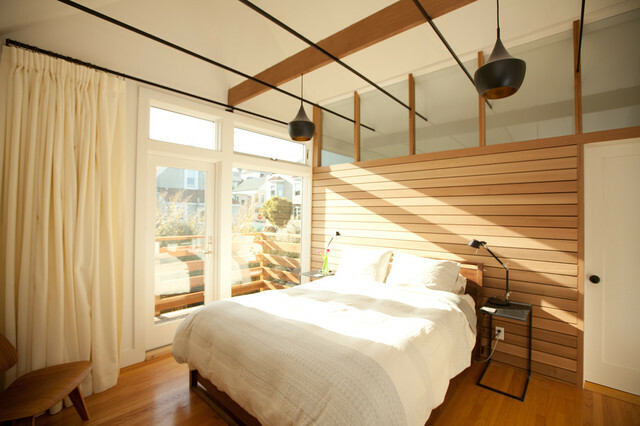 Hanging your lights is always a good way to save space on a nightstand. 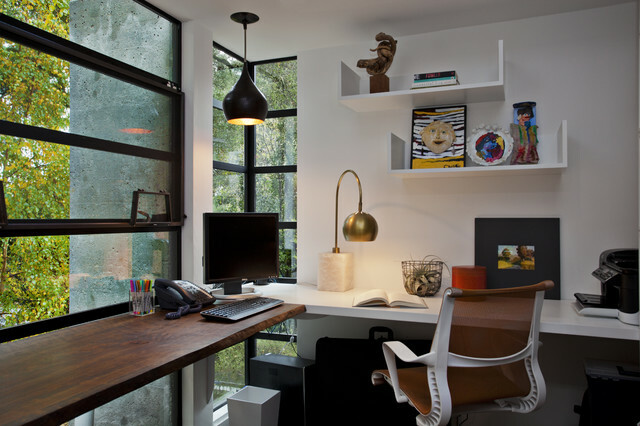 A Fat pendant throws great light on a desk in this tree house–like study.